It's another week, which means another great Mission Giveaway! 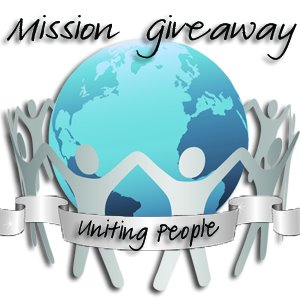 Each Mission Giveaway winner wins at least two prizes, one to keep and one to give to a friend or someone who could really use the prize! Have you heard of Smilebox? 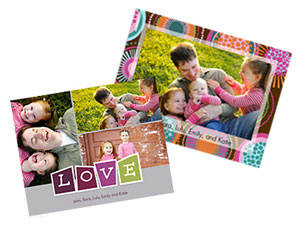 Simply put, Smilebox allows you to add your photos and videos to customizable designs—from scrapbooks and slideshows to invites and greetings—for quick sharing via email, Facebook, blog, or prints. It’s fast and easy. But don’t think about that. Think of the photos! The ones from grandma’s party. The sunset shots from your vacation. The video of your daughter’s first steps. All those amazing moments, collecting virtual dust. Smilebox, with a program for Mac/PC and an iPhone app, wants to help you bring them to life and make family and friends smile. Oh, and it just so happens to be lots of fun. Grand Prize: THREE Club Smilebox Annual Subscriptions - 1 to win and 2 to share! Win a free annual subscription to Club Smilebox - use one for yourself and give the other two to family or friends who love to get a little creative when sharing their photos. With Club Smilebox, you get full screen, ad-free playbacks when sharing online (email, Facebook or your own blog), the option to use your own music, and unlimited storage for your shared creations. Plus you can print any of your creations at home or burn them to a DVD. The Giveaway will open up on Tuesday 9/18 at 12:01 am EST and Close on Friday 9/21 at 11:59 pm EST. 1) Scroll down to the Rafflecopter below.